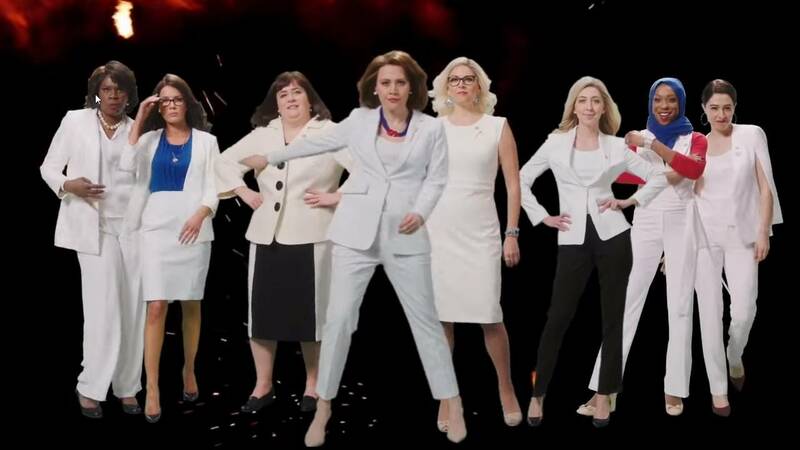 Impersonations of several congresswomen were featured in the "SNL" sketch. DETROIT - A skit that aired on "Saturday Night Live" pokes fun at newly elected Rep. Rashida Tlaib of Michigan's 13th Congressional District. The skit features a character impersonating Tlaib making controversial remarks about President Donald Trump after she was sworn into office last month. Tlaib spewed an expletive in comments about the president that made national news and drew sharp criticism. "Impeach the motherf***er," said the character playing Tlaib on "SNL." Impersonations of other congresswomen were made in the sketch. Watch the "SNL" sketch right here.